Joseph P. Gehegan - American Patriot Holdings, LLC. Mr. Gehegan is an Executive Member of American Patriot Holdings LLC. (APH) and President, CEO of Marine Transportation Consultants (MTC), Marine Equipment Leasing (MEL) and Marine Inland Transportation (MIT). MTC is involved in the construction and chartering of U.S. Jones Act vessels, having built twenty (20) 30,000 barrel inland petroleum barges and through subsidiaries Marine Equipment Leasing and Marine Inland Transport, the barges are chartered on long term contracts. Mr. Gehegan began his career in 1967, after graduating from the United States Merchant Marine Academy, where he received his Bachelor of Science Engineering Degree, and a commission as Ensign in the U.S. Navy. He served as an engineering officer on various U.S. merchant vessels, raising his license to First Engineer Steam and Motor, any horsepower, before coming ashore to work as a ship superintendent for Amoco International Oil Company in 1972. He promoted to positions of increasing responsibility and became Vice President of US Operations. In 1979, Mr. Gehegan joined Amerada Hess Corporation, where he managed a newly acquired subsidiary engaged in tug & barge movement of petroleum and dry bulk commodities. He was promoted to positions of increasing responsibility and became Vice President of Marine Operations and Commercial Ship Utilization. Mr. Gehegan left Hess in 2002, when Hess sold its domestic tanker fleet to the newly formed U.S. Shipping Corporation. Mr. Gehegan joined U.S. Shipping Corporation as President and Chief Operating Officer. The company was taken public, as a Master Limited Partnership in 2004, and expanded with the addition of four (4) new-build 155,000 barrel ATB’s and five 47,000DWT product carriers. 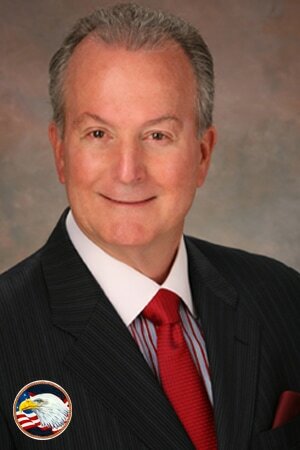 In 2009 Mr. Gehegan was appointed President and Chief Executive Officer where he served from 2009 - 2012. He left U.S. Shipping Corporation at the end of 2012, and formed Marine Transportation Consultants, LLC. Mr. Gehegan is a member of the American Bureau of Shipping (ABS), and serves on the North American Board. He is a member of the Society of Naval Architects & Marine Engineers and the Port of Engineers of New York. He is a two time recipient of the USMMA’s outstanding professional achievement award. He has also received industry recognition by receiving the Massachusetts Maritime Academy Man of the Year award, and the Seafarers International Union Man of the Year award.